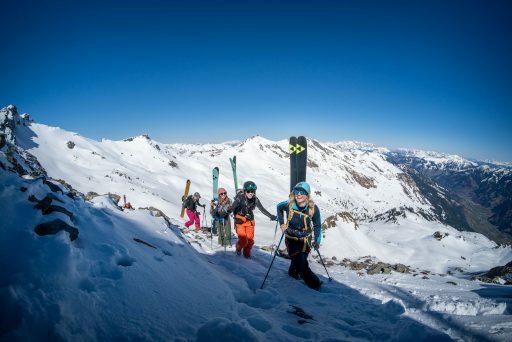 Our freeride camps give WOMEN from all over the world the chance to improve their backcountry skills, connect & have fun with likeminded passionate skiers and get inspired by some of the best freeride ladies in the world. Take this great opportunity and become part of the Shades of Winter family! 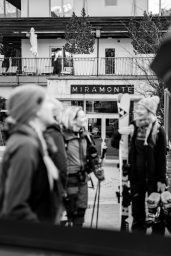 Our mission is to CONNECT – INSPIRE – EMPOWER and spread our shared love for skiing! The camp taking place 28.-31. March 2019 in beautiful Gastein was one for the books! 12 women from 6 different nations aged 22-50+ joined coaches and guides Sabine Schipflinger, Sophie Wallner and Sandra Lahnsteiner and following them in their home turf in the Austrian Alps. They were pushing and supporting each other, having great fun skiing, jumping off cliffs, improving their avalanche safety skills and sharing the stoke. 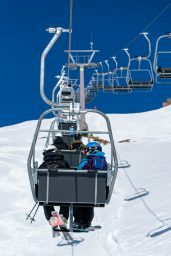 The conditions were perfect, corn snow in the south and powder in the north facing slopes, plus the snow stability even allowed skiing big terrain. 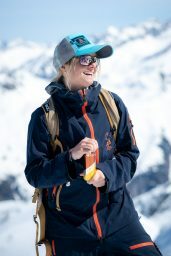 We would like to thank our partners for supporting us and allow us to follow our vision – connecting, inspiring and empowering women in outdoor sports. The Shades of Winter team is taking the positive vibes directly into planning camps in the upcoming winter. If you don’t want to miss out the future dates and locations feel free to subscribe to our newsletter below.